Dækstørrelse 195/45 R15 78V SportContact 2 FR fra 729,75kr. 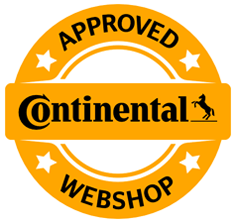 195/45 R15 78V SportContact 2 FR fra 701,91kr. 195/50 R16 88V SportContact 2 XL FR fra 950,34kr. 205/55 R16 91V SportContact 2 AO FR ML fra 631,90kr. 205/55 R16 91W SportContact 2 AO FR ML fra 647,57kr. 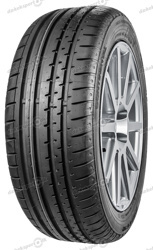 215/40 ZR16 86W SportContact 2 XL FR fra 922,06kr. 215/45 R17 87V SportContact 2 MO FR fra 777,41kr. 215/40 ZR18 89W SportContact 2 XL MO FR fra 1107,75kr. 215/40 ZR18 89W SportContact 2 XL MO FR fra 1106,00kr. 225/50 R17 94H SportContact 2 * FR fra 1244,69kr. 225/50 R17 94V SportContact 2 * FR fra 931,78kr. 225/50 R17 94W SportContact 2 AO FR fra 974,14kr. 225/40 R18 92Y SportContact 2 XL AO FR fra 1049,83kr. 225/40 ZR18 (88Y) SportContact 2 N2 FR fra 786,75kr. 235/55 R17 99W SportContact 2 MO FR ML fra 949,96kr. 245/45 R18 100W SportContact 2 J XL FR fra 1308,99kr. 245/45 R18 100W SportContact 2 XL J FR fra 1187,75kr. 245/35 R19 93Y SportContact 2 XL * FR fra 1431,15kr. 255/45 R18 99Y SportContact 2 MO FR ML fra 1228,45kr. 255/40 R19 100Y Sportcontact 2 XL MO FR fra 1345,75kr. 255/40 ZR19 (100Y) SportContact 2 XL MO FR fra 1398,39kr. 255/35 R20 97Y SportContact 2 XL MO FR fra 1491,25kr. 255/35 ZR20 (97Y) SportContact 2 XL MO FR fra 1510,19kr. 255/35 ZR20 (97Y) SportContact 2 XL MO FR fra 1494,79kr. 255/35 R20 97Y SportContact 2 XL MO FR fra 1607,15kr. 265/35 ZR18 (93Y) SportContact 2 N2 FR fra 1386,16kr. 265/35 ZR18 (93Y) SportContact 2 N2 FR fra 1495,75kr. 265/35 ZR19 98Y SportContact 2 XL AO FR fra 1889,94kr. 265/45 ZR20 104Y SportContact 2 MO FR fra 1783,44kr. 265/40 ZR21 105Y SportContact 2 XL MO FR fra 1898,44kr. 275/40 R18 103W SportContact 2 J XL FR fra 1760,14kr. 275/45 R18 103Y SportContact 2 MO FR ML fra 1576,08kr. 275/30 R19 96Y SportContact 2 XL * FR fra 1565,81kr. 275/40 ZR19 (105Y) SportContact 2 XL MO FR fra 1527,26kr. 275/40 ZR19 (105Y) SportContact 2 XL MO FR fra 1648,69kr. 275/40 R19 101Y SportContact 2 MO FR fra 1464,65kr. 275/35 R20 102Y SportContact 2 XL MO FR fra 1810,50kr. 275/35 ZR20 (102Y) SportContact 2 XL MO FR fra 1774,49kr. 275/35 R20 102Y SportContact 2 XL MO FR fra 1828,75kr. 285/30 ZR18 (93Y) SportContact 2 N2 FR fra 1707,10kr. 295/30 ZR18 (94Y) SportContact 2 N2 FR fra 1944,51kr.